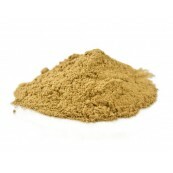 Color: Light brown with dark brown tones. 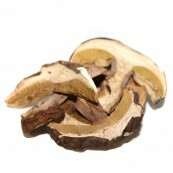 Porcini (Boletus Edulis) mushrooms are definitely the most desirable of the Boletes mushrooms for cooking and eating. Porcini is one of the finest mushrooms around and exceptionally delicious, strongly flavored with subtle undertones that can be almost addicting. Our Porcini B contains medium pieces and it's darker in color. The authentic flavor of these mushrooms is especially popular in Italian cooking where Porcinis are added to risotto, pasta, sauces, soups, casseroles, and stuffing. 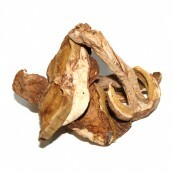 Porcini Mushroom are known to be anti-inflammation. This meaty mushroom contains the compound called ergosterol which is capable of fighting against infection causing diseases. They are high in calcium level which makes our bones strong and also fiber content, which of course avoids us from having constipation.